As part of the new menu launch in Stakks Pancake House in The Marlands, I am proud to be reviewing some of their new additions! This time, I got to enjoy one of the most perfect salads. I often struggle to find a good lunch that I enjoy as I don't each much bread or pasta, something that isn't too filling but keeps me going for the rest of the day, but I think I may have just found my perfect salad. 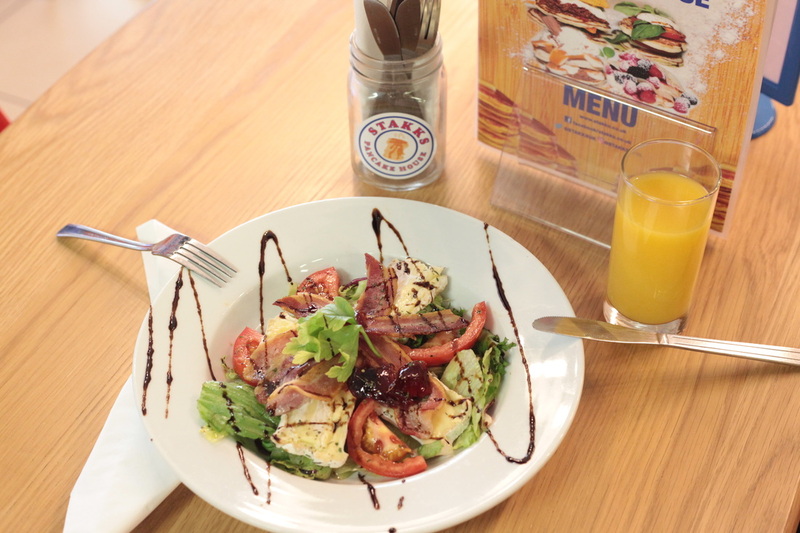 Stakks have launched a new range of salads stemming from the yummy ingredients from their pancake selection but on a bed of salad instead of pancake. I chose the Brie and Bacon salad, because, well... BACON! The crispy bacon rashers are just to die for and the brie is so soft and delicious. 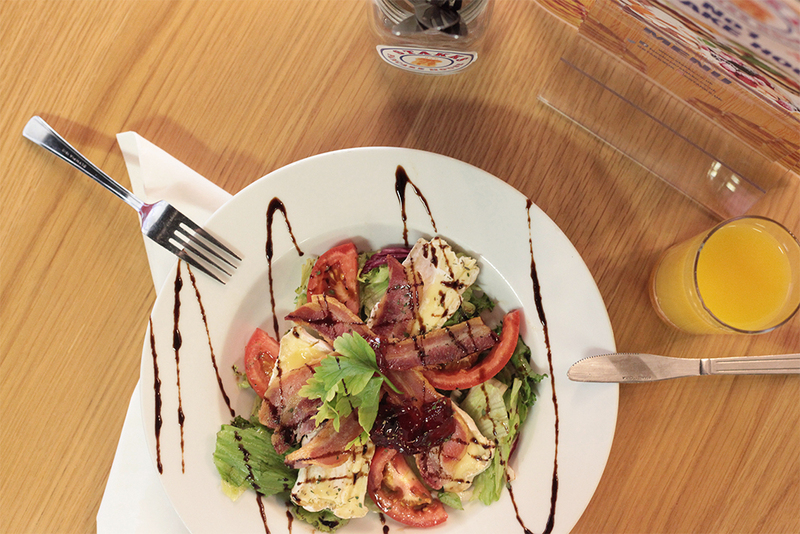 The balsamic vinegar gives the taste a bit of a twang that adds an extra something to the salad. Most people think salads are boring, but they have to be my favourite food (as well as pizza and sushi of course) so finding a really good one like this is gold! It's a good sized portion and I also saw two guys order a salad as I was eating mine and have now made it my mission to try each one on the menu because theirs looked amazing too. The cranberry jelly also gave a sweet flavour, which was lovely because there wasn't too much to make it too sweet, but just enough to compliment the brie. 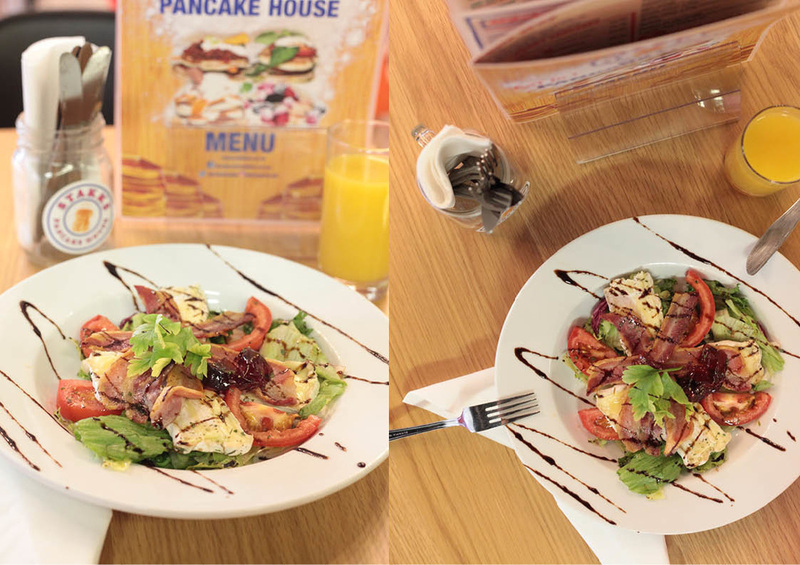 Having a salad in a pancake house might sound absurd, but seriously, you NEED to try these!!! And when they are only £5/6 you would have to be crazy not to. Get down to The Marlands and give one of the salads a go, let me know what you think!